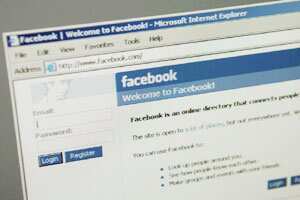 New Delhi: US-based companies Google Inc., Facebook Inc., Yahoo Inc., Microsoft Corp. and others were issued summons by a Delhi court on Friday in connection with criminal charges for “objectionable" material hosted online. Simultaneously, the Union government sanctioned the prosecution of the companies on its behalf. The developments come close on the heels of India’s communications and information technology minister Kapil Sibal asking the Web companies to remove objectionable content that allegedly featured Prime Minister Manmohan Singh, Congress party president Sonia Gandhi and religious leaders. On 6 December, Sibal had told reporters: “We are seeking their cooperation, and if somebody is not willing to cooperate on incendiary material like this, it is the duty of the government to think of steps that we need to take. We don’t want to interfere in freedom of the press, but this kind of material should not be allowed." On Friday, the government allowed the complainant to proceed under section 196 of the Code of Criminal Procedure (CrPC), which allows people to be prosecuted for offences against the state. “Government of India, after being satisfied that such content are violative of the provisions of the Information Technology (Intermediaries Guidelines) Rules, 2011, and after due application of judicious minds finds it appropriate to grant sanction under section 196 of CrPC to proceed against the accused persons in the aforesaid complaint in national harmony, integration and national interest," said the department of information technology’s report to the magistrate. The private complaint alleges defamation, provoking enmity between different groups, obscenity, outraging religious feelings and abetment of all the afore-mentioned offences on the part of the Web companies. The court issued the summons on a complaint by Delhi-based journalist Vinay Rai. “Such contents, if allowed to be hosted on these websites would seriously damage the secular fabric of India and would severely hurt the sentiments of the general public following different religions," the complaint said. Rai, 39, who hails from Kushinagar in Uttar Pradesh, told Mint he currently edits Urdu weekly Akbari. Before this, he was a political reporter with Zee News. He had applied to the government for sanctions to prosecute the websites on 24 December. The court’s direction came after Siddharth Luthra, counsel for Facebook India, said many of the companies named as accused in the case were located overseas. The court said summons could be issued through the foreign ministry. “Let the process (to serve the summons) on (foreign-based) accused be sent through MEA as per the process," metropolitan magistrate Kumar said. “The accused are allowed exemption for today only, but are directed to appear in person on the next date of hearing without fail." The court passed the order after advocate Shashi Tripathi, appearing for Rai, told the magistrate that he would file a fresh list of the addresses of the various foreign-based sites for the serving of the summons through MEA. During the hearing, Luthra sought an adjournment. He said the case was being heard in parallel in the Delhi high court. Google and Facebook are arguing before the high court that under the information technology Act, they should not be the ones held responsible for objectionable content that is posted online. “Under the information technology Act, the intermediary concerned has immunity from liability with reference to third-party content unless the affected party has notified the intermediary in such cases," the Google India lawyer said on the phone. “In none of these cases has any affected party contacted the intermediary. As Google India, we are not even the intermediary in these cases, so we don’t think we should be summoned to court to face this trial." Justice Suresh Kait is expected to hear the case in the high court on Monday. On Thursday, Google India’s advocate Mukul Rohatgi had argued in the high court that the company could not filter all material that was allegedly objectionable. Justice Kait had, however, observed that it was open to the government to take action: “Like China, we will block all such websites." Pavan Duggal, cyber law expert and Supreme Court lawyer, said that under the IT Act, intermediaries such as Google have to act within 36 hours of receiving a complaint or a notification from the government after which the matter can be taken to a court of law. “This is what has happened in this case as the companies did not act upon the government’s notice," he said. “The argument that just because these companies are intermediaries and can’t vet the content before it’s posted, and so they are above the law of the land doesn’t hold water," Duggal added.